Joy De Vivre Design: Need More Online Reading Material? If you are anything like me, then you love to discover new blogs. 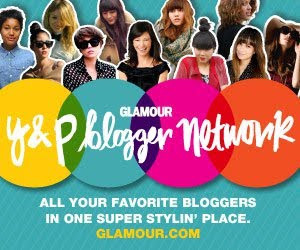 Thankfully Glamour has made it easy for us to find fashionable reading material by gathering 18 bloggers for their new Young and Posh Blogger Network! Check it out and support our fellow bloggers!